The Satu Bumi Pots are made from Glass Fibre Reinforced Concrete (GFRC). It comprises of special cement mixed with high quality polymers & alkaline resistant glass fibres. The result is a technology that is strong, light extremely durable. Its unique composition prevents corrosion and resistance to harsh and extreme conditions (freeze Ð thaw) .Its specialist colouring techniques enable it to resist UV breakdown and peeling of the surfaces. 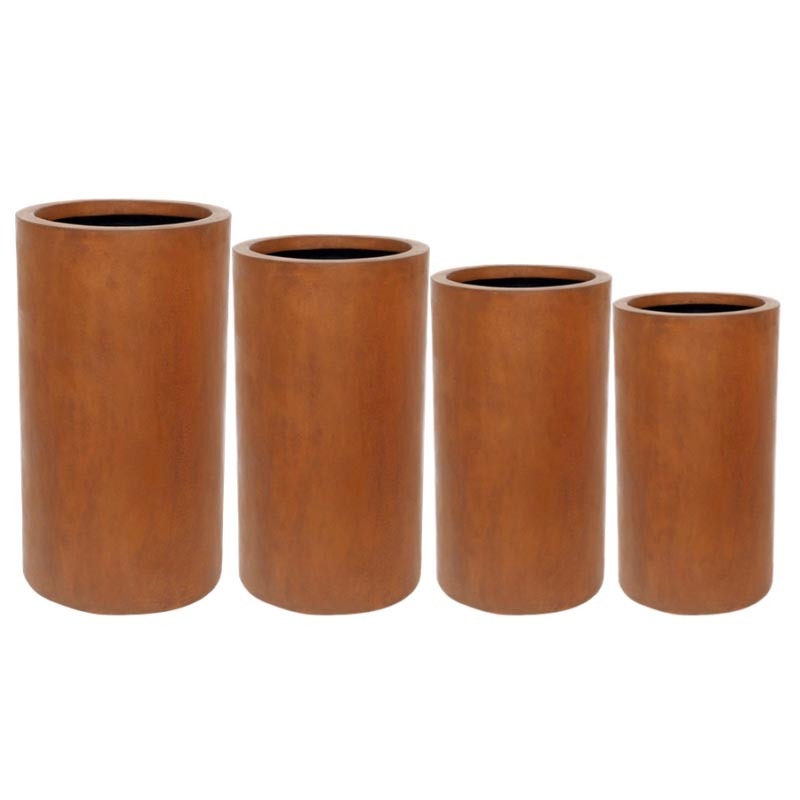 The Cylindrical Planter Tall is part of a set of 4. Ideal for indoor and outdoor use. Sizes: Large 56 cm x 56 cm x 100 cm Height ; Medium 45 cm x 45 cm x 85 cm Height ; Small 36 cm x 36 cm x 65 cm Height. Pallet Delivery Required - Min £25 surcharge - Please contact support for details.